People in today’s world want to feel more connected. In the midst of an accelerated pace of living, many people wish – hope – “feel” that there is more to life than what they are experiencing on a day to day basis. Through the lens of science this film helps people to see the world differently. It inspires them to think differently about their connection to the Universe and to each other, just as some of humanity’s greatest minds discovered that the world and our Universe is more connected than anyone thought possible. Einstein changed humanity’s future when he made the connection between space and time in his theory of relativity. Yet, Einstein died leaving what he felt was his most important work unfinished. On his deathbed, Einstein requested his glasses, his pencils, and his equations, seeking to create a unified theory that would connect cosmological and quantum physics. He knew the great impact this understanding would have on humanity… but, sadly, he ran out of time.. Nassim Haramein, the Director of Research at the Resonance Foundation, was deeply inspired by Einstein’s work. For decades, Haramein continued to explore his own solutions and finally made a major breakthrough. Science moves forward when theories, upon which predictions are based, are later confirmed by experimental data and results. 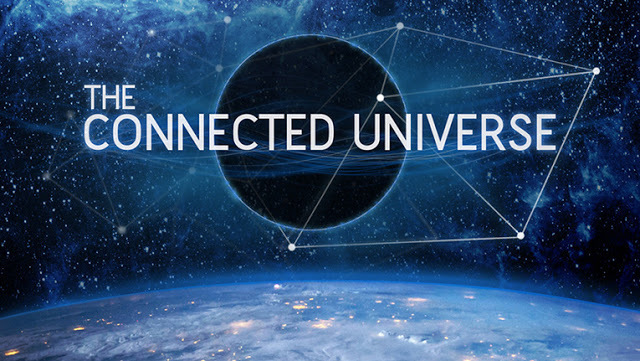 In The Connected Universe, we explore the bold, new predictions Nassim Haramein makes about the nature of the proton and the confirmed experimental results of his theory and its implications. The film also reveals Haramein’s work connecting the ideas of Max Planck (one of the father’s of Quantum Physics) and those of Einstein’s, that has allowed Haramein to include gravity into quantum theory for the first time! New understandings in science are also revealing to us that at a quantum level there is a dynamic and energetic flow, or force, in nature that connects every proton with every other proton in the Universe. This flow of energy does not only exist at a cosmic level, it also exists within each and every one of us and connects each and every one of us. When you discover all of the ways that you are physically and energetically connected to the Universe, you will never look at yourself or your world the same way again. This film will INSPIRE YOU to CONNECT TO YOUR POTENTIAL… the potential of WHO YOU ARE and WHO YOU CAN BECOME.